As the season shifts, so does my spice box. Slowly as winter gives way to a warmer spring and summer, the mustard seeds give way to more fennel and coriander. Saffron and cardamom tint my homemade nut milks and an extra pinch of turmeric accompanies my grains and greens. 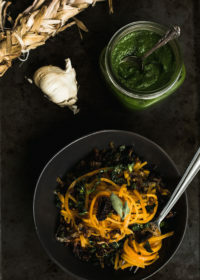 Almost intuitively, I find myself reaching for certain spices that not only flavor a meal but bring balance and support to my body in the changing environment. My strong winter chai shifts to something a little lighter and fresher, like this fennel latte, welcoming in flavors that have more bitterness and astringency. I remember the first time I experienced this level of intentionality with eating. I had made friends with an Ayurvedic family on the island. Every Sunday, we would gather our community together to share a family meal. Robin and Sonja, who are both devoted practitioners and avid cooks, would often take the lead in the kitchen and direct how we could support. One of us would bring a building dish, like grains or root vegetables, and another would bring the extractive dish, like legumes, greens or bitter vegetables. Someone else would bring a yogurt sauce or a chutney, and the meal would start to come together with ease. We’d plate the different sides to make a balanced bowl and gather around the table together for a great meal and conversation. Over the months, as the weather shifted, the ingredients would change, too. 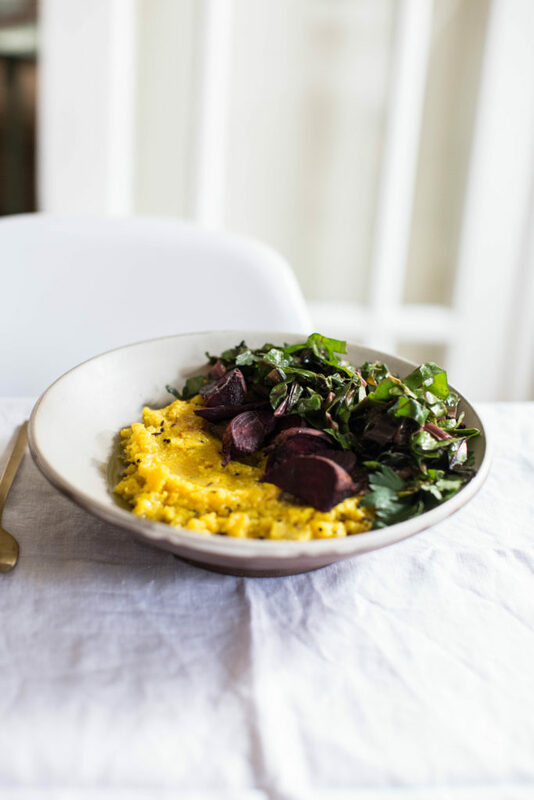 The rice, which was rich with ghee and ginger in the winter, switched to a more drying grain, like millet with toasted cumin in spring, and a soothing coconut rice with fresh cilantro in summer. It was subtle. 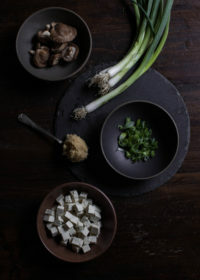 The methods were the same, the way we cooked and built our bowls didn’t change, but the intentional use of ingredients kept us yoked with the changing seasons. Because Kauai’s seasons are much more subtle than other climates, our growing season here stays relatively the same through the year. 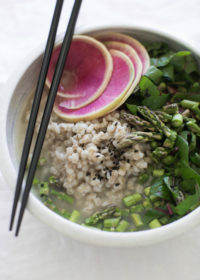 My approach to seasonal eating has me tuning in more with my day-to-day needs (vikriti) and using local foods and flavors to bring balance to my body and mind. 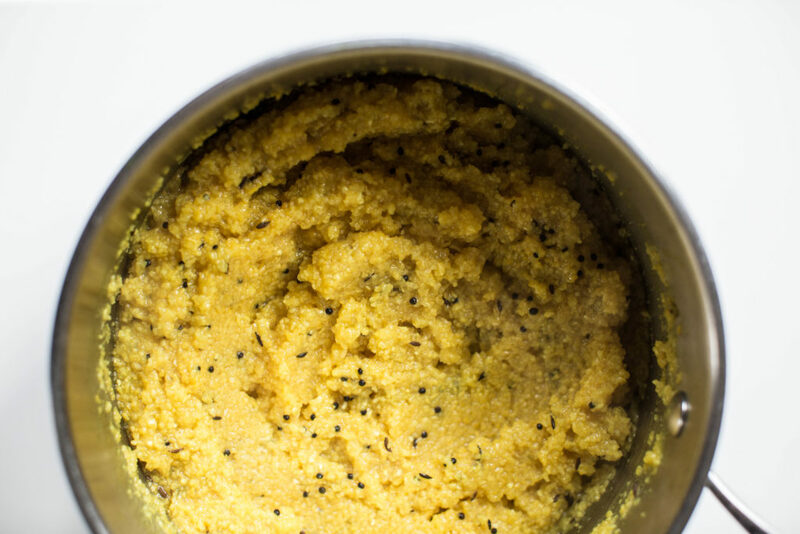 Turmeric and mustard seed in this recipe are two great spices for spring. 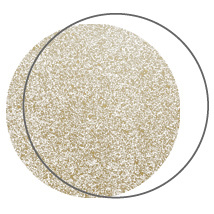 Brown mustard seeds are pungent in taste and warming in the post-digestive effect on the body. Turmeric is bitter, astringent and pungent in taste, and has a heating quality as well. These two work together to support Kapha. Other great Kapha reducing spices black pepper, cumin, ginger, garlic, coriander, clove, anise, cayenne, caraway, cinnamon, mace, marjoram, mustard seeds, orange peel, oregano, parsley, pippali, sage, tarragon, thyme. If you’re curious to learn more about the intentional uses of spices for healing, I love Maya Tiwari’s A Life of Balance as a reference guide to what foods are supportive for the different doshas through the seasons. Combine the greens and garlic in a food processor or blender. Pulse until finely chopped. Add the salt, lemon juice and olive oil. Pulse again until well combined. Taste and adjust seasonings as desired. Transfer to a jar to store until ready to use. Preheat the oven to 400F. Scrub, peel and cube the beets. Toss in olive oil and spread evenly across a baking sheet or pan. Add an inch of water of the pan. 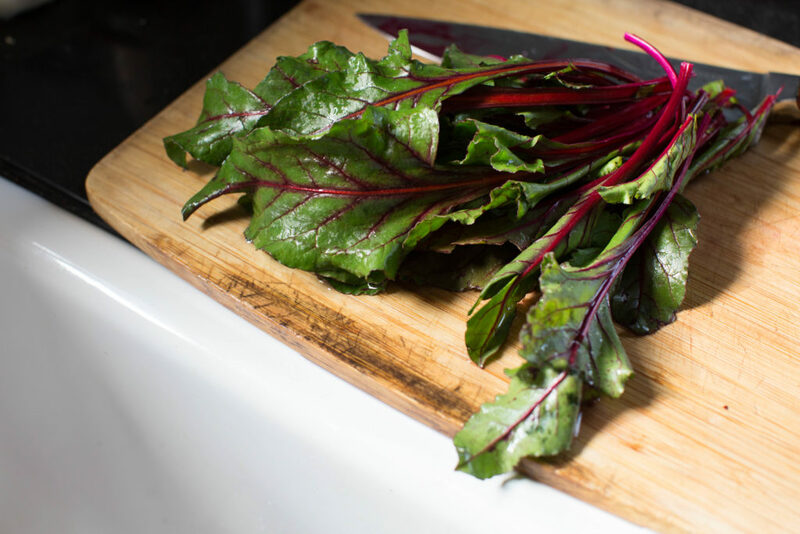 Cover with parchment paper to create a steaming effect for the beets. Roast in oven for 30 minutes, remove the cover and continue to cook for another 15 minutes, or until tender. Remove from oven. 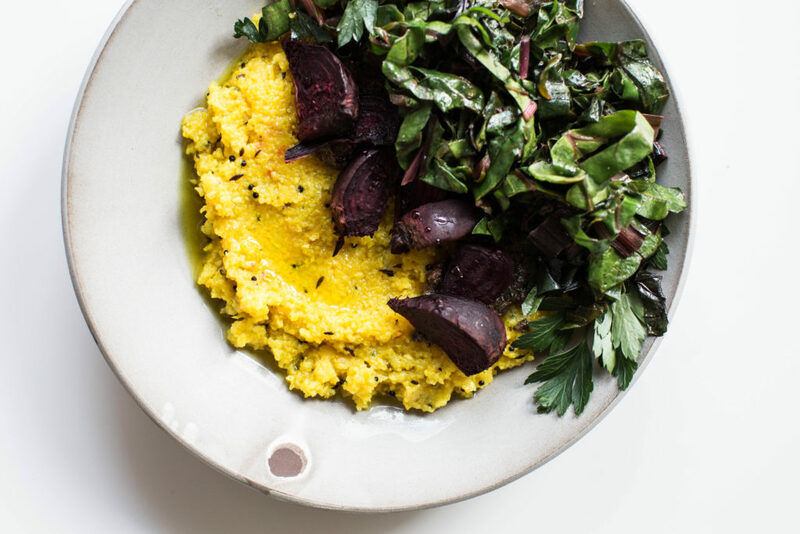 While the beets are roasting, In a medium sauce pan, heat the ghee on low heat. 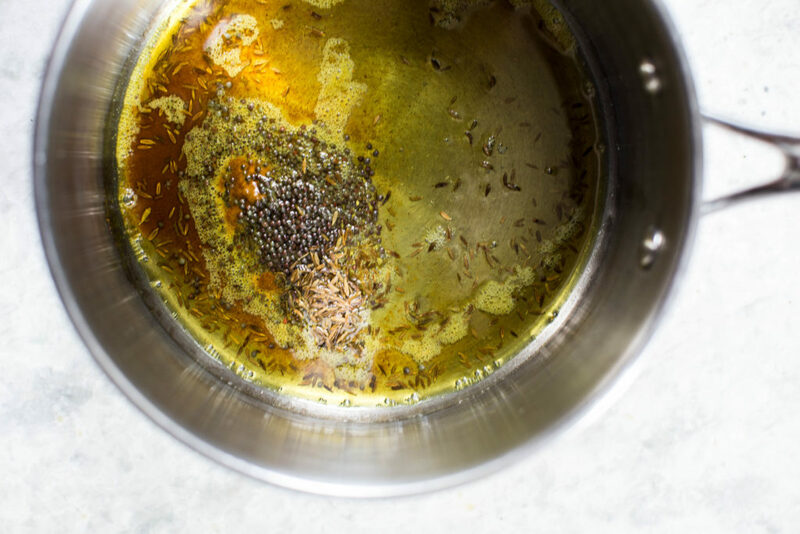 Add the turmeric and cumin seeds to lightly toast in the pan for a minute, stirring frequently to avoid burning. Once fragrant, add the polenta and 1 cup of water. Bring to a boil, then reduce to low heat and stir every 2-3 minutes while continuing to add the water, cup by cup, until fully combined. Remove from heat, cover and set aside while you cook the greens. In a skillet, heat the ghee on low heat. Add the mustard seeds to lightly toast in the pan for a minute, stirring frequently to avoid burning. This will be a quick process, less than a minute so don’t walk away to multi-task, or you’ll have a pan of popping seeds!